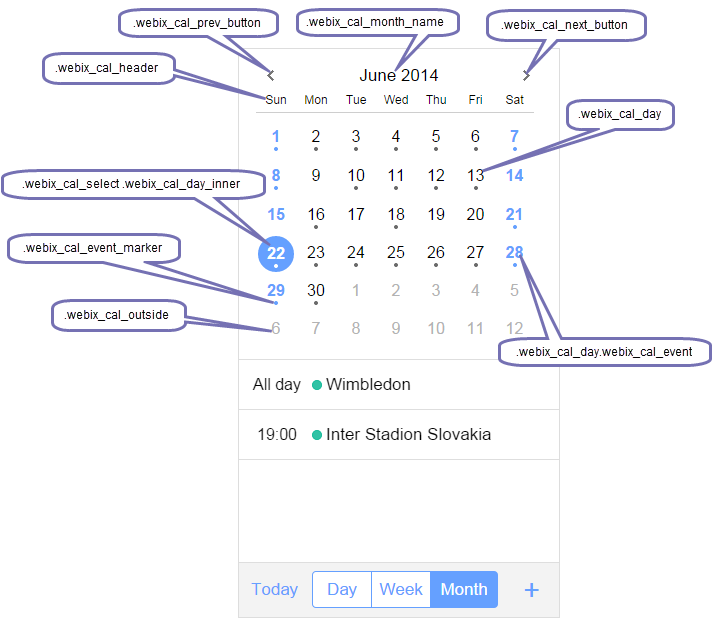 It's possible to customize any element of Webix Scheduler. All you need to do is to redefine the needed attributes of the related css class in the <style> block of your page. The untouched attributes will take default values. In the above example we redefined only the background color. 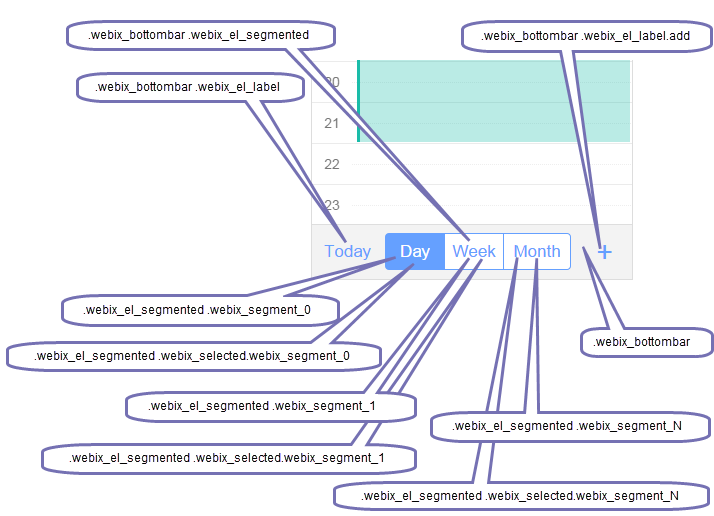 All the other attributes defined in the '.webix_bottombar' class took the default values. 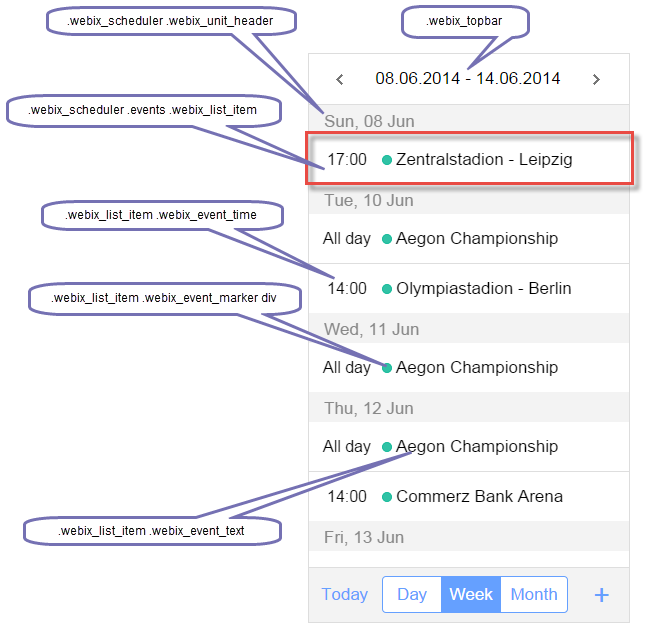 It is possible to apply different styling to events in the scheduler. 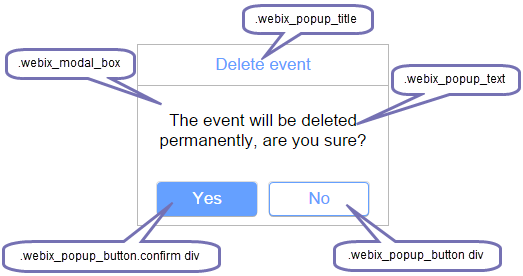 It's implemented with the help of templates. 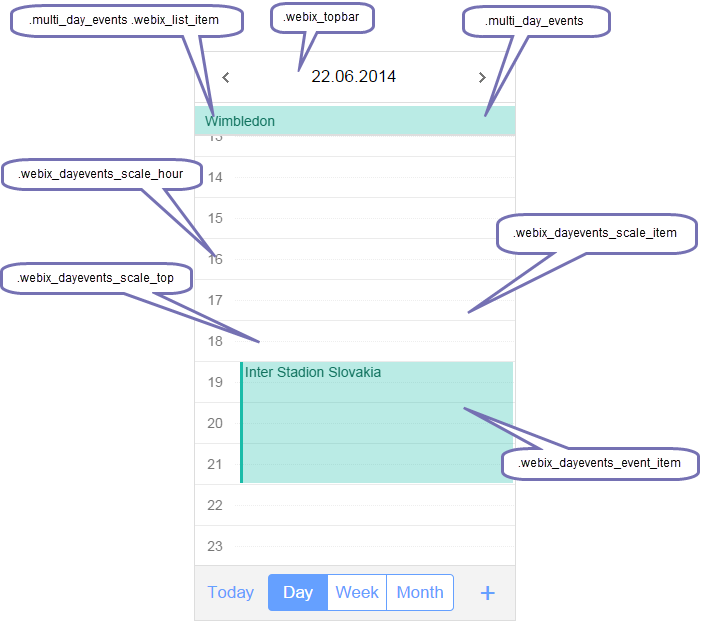 The "event_class" template is applied to events in all 3 views: Day, Week and Month. 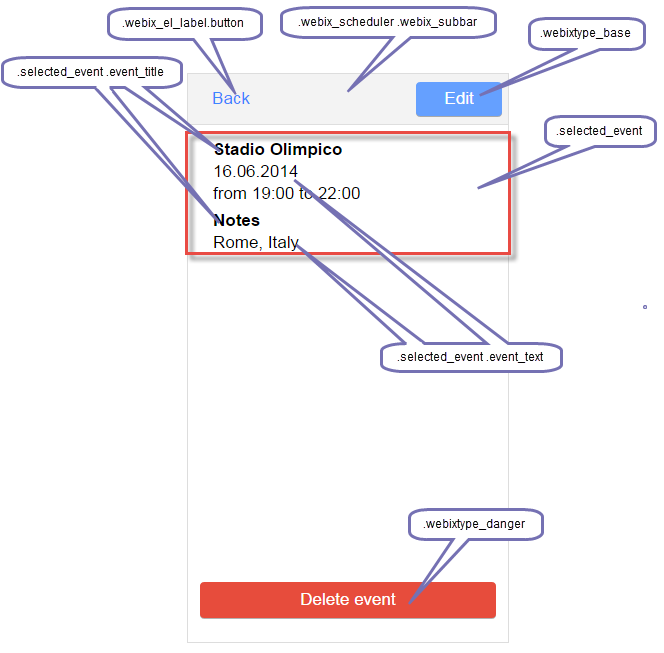 There is a possibility to apply different colors to events using the color property in the event's data. 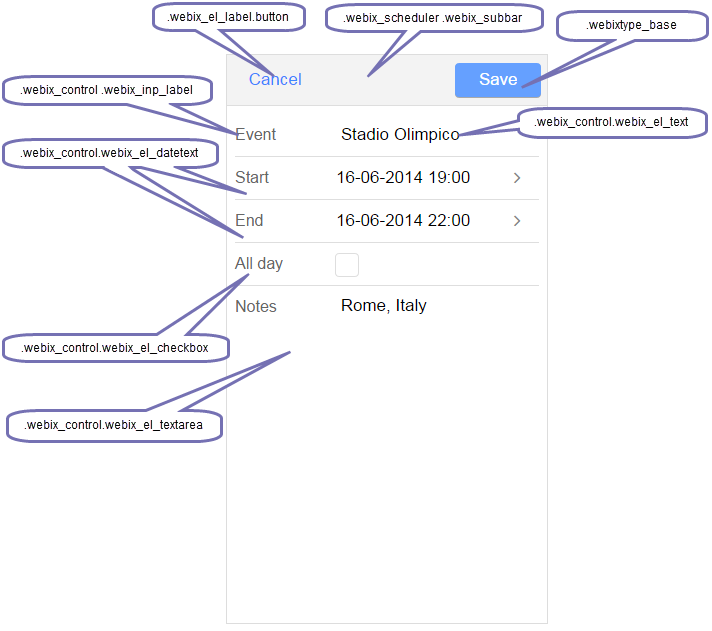 This property is applied to the event's background in the Day view and event markers in the Week and Month views. However, you can use any other property for styling events.